In an interesting event hosted by Empower Sports in Hyderabad, young footballers showcased their talent against distinguished personalities in which Mr. Puneet Kothapa, Executive Director of The Narayana Group of Educational Institutions, Former Chief Minister of Andhra Pradesh, Mr. Kiran Kumar Reddy, badminton legend Pullela Gopichand, film actor Adivi Sesh, Vice Chairman at GVK Mr. Sanjay Reddy, and Mr. Sunil Reddy, Director at Dodla Dairy also participated actively. During a Q&A session, Mr. Kothapa highlighted the importance of sports in life, “Sports teach us winning and losing, and inculcates a competitive spirit, right from a young age.” We at The Narayana Group are presently promoting a healthy sporting culture where we try to educate people that just like academics, sports are important too. 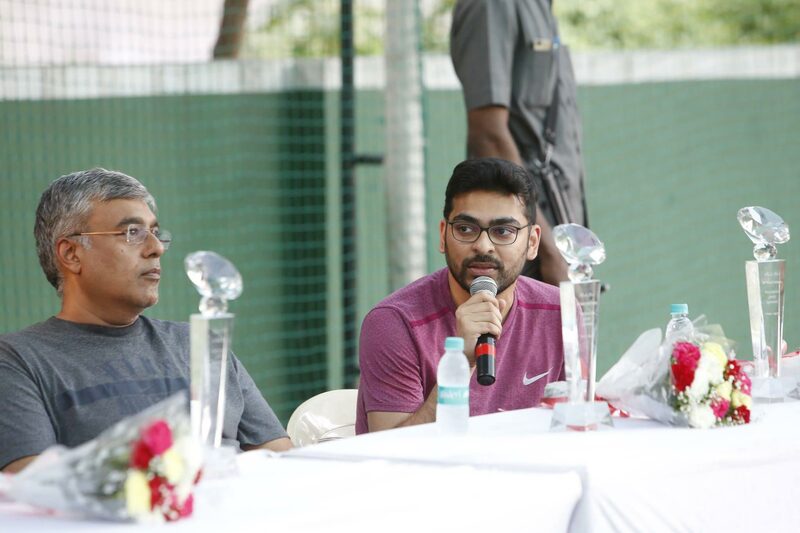 In the last few years, all sports activities at The Narayana Group of Institutions spread across the country, are being managed by sports agencies to enhance the sports curriculum with the help of specialist trainers. We also ensure to recognize sports talent among kids at an early stage to offer them special training and encouragement in order to help them succeed in future.